The Grandstream 4-Port FXO Analog Gateway is a next-generation IP voice and video gateway that features full interoperability with leading IP-PBXs, SoftSwitches and SIP server platforms. It offers superb voice and video quality, traditional PBX telephone functionality, and easy deployment. It allows small businesses and remote locations to seamlessly connect up to 4 PSTN lines to an existing IP PBX System or analog phone system. Moreover, this gateway features 4 FXO ports allowing up to 4 lines to connect to the PSTN and 2 switched 10/100 Ethernet ports that can be routed to connect to the network. 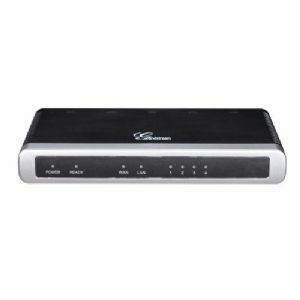 Buy Grandstream 4-Port FXO Analog Gateway today! 8.9" x 6.8" x 1.7"